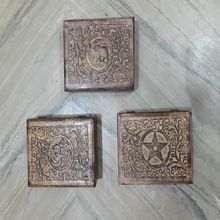 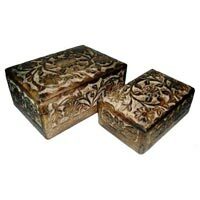 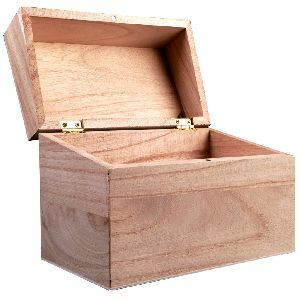 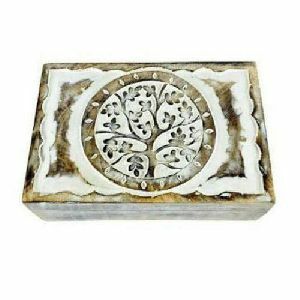 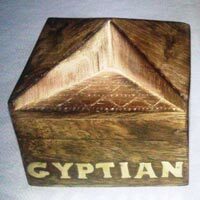 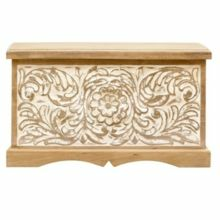 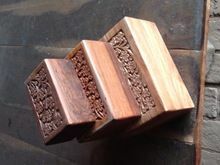 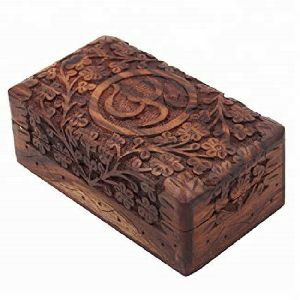 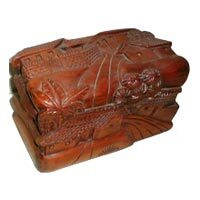 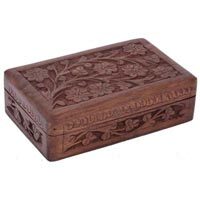 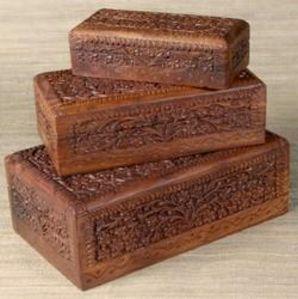 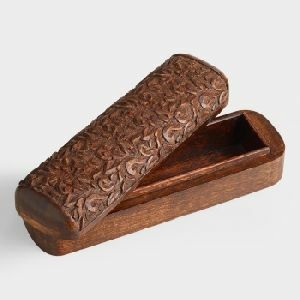 We bring forth this exclusive carved wooden box designed in rectangular shape. 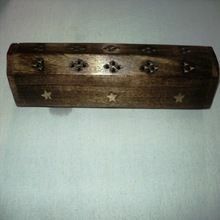 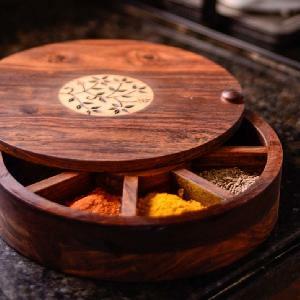 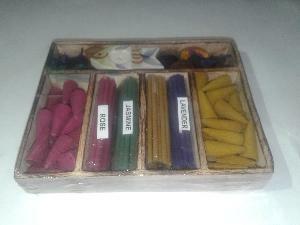 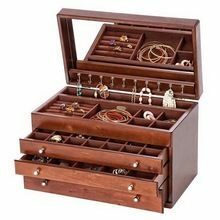 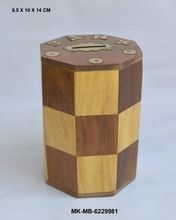 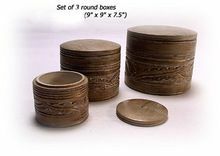 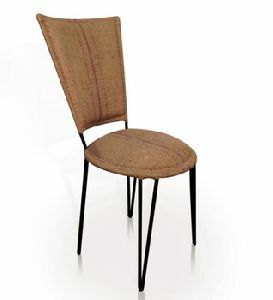 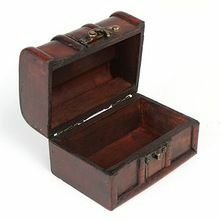 It serves as a decorative item and also for storing jewelry or any other stuff. 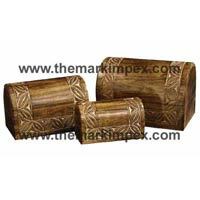 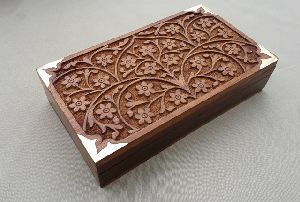 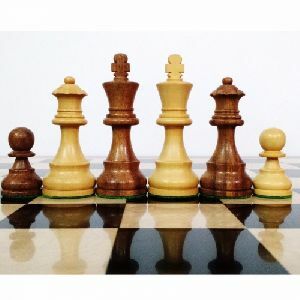 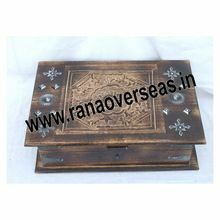 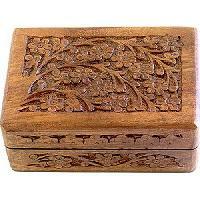 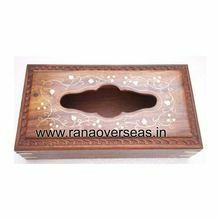 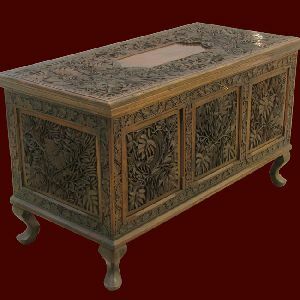 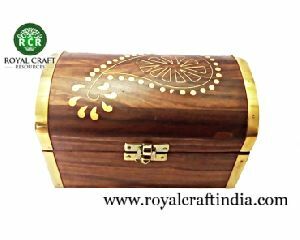 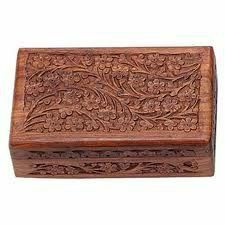 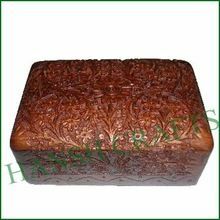 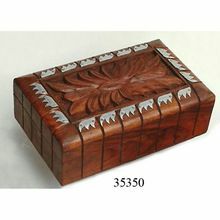 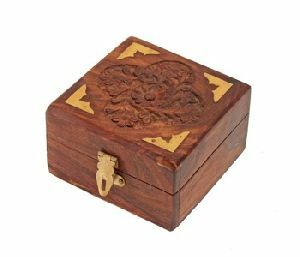 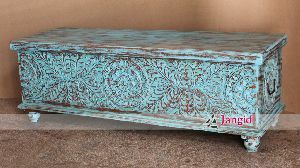 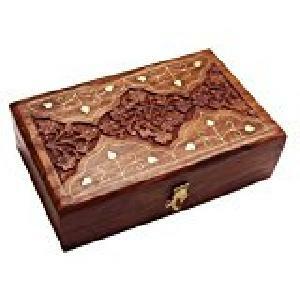 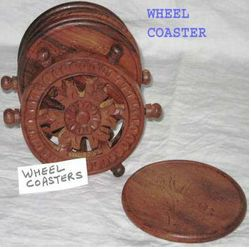 The intricately made carved wooden box is admired by the clients for its attractive finish.